Kim statue image from The Telegraph. Morecambe statue image from Panoramio. 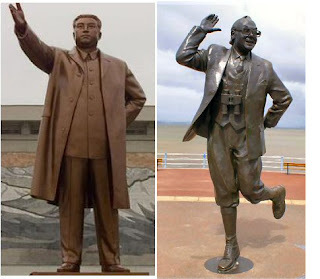 Saw a photo of the Kim Jong-Il statue and it reminded me of the statue of Eric Morecambe. If only our world had more despots and fewer beloved comedians. Or perhaps a combo. 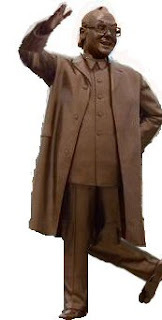 Kim Jong-Morecambe in bronze by Riffle.